Have you considered getting breast implants? Dr. Steven Ringler can help you feel your best and accomplish the look you want. Board-certified by the American Board of Plastic Surgery, Dr. Ringler strives to provide high quality care and tailored results. He takes the time to develop customized treatment plans for all his patients that specifically address the concerns and requests of each individual. With his extensive training and expertise in the field of plastic surgery, he is committed to delivering exceptional results every time. Dr. Ringler is devoted to offering his patients the latest in implant technology. He was recently named an IDEAL IMPLANT Premier Surgeon as part of an exclusive network of plastic surgeons that offer this new, innovative implant option. Known as a “structured implant,” the IDEAL IMPLANT uses an advanced internal structure to give all the benefits, without the compromises, of both silicone gel and saline breast implants. Women now have an implant choice that accomplishes the natural feel and realistic look of silicone gel, plus the peace of mind that comes with saline. 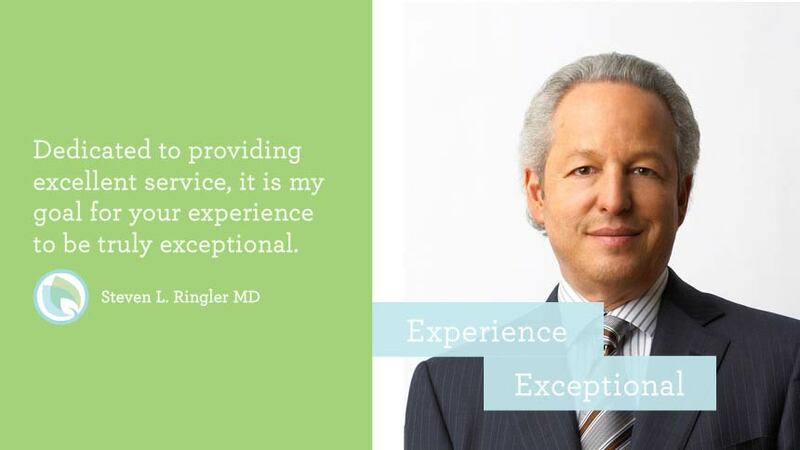 Dr. Ringler is known for his achievement and educational leadership in cosmetic and plastic surgery. As the Founder and Medical Director of the Michigan Chapter of Operation Smile, more than 1300 children with facial deformities have received free surgery under his direction. Dr. Ringler also founded the Thank You Veterans Project that gives free surgery in the month of November to U.S. veterans who have sustained injuries in active duty. Additionally, he has served as Director of the Grand Rapids Plastic Surgery Residency Program and President of the Michigan Academy of Plastic Surgeons. You can find Dr. Ringler helping his patients reach their goals at the Center for Aesthetics and Plastic Surgery in Grand Rapids, Michigan. His highly trained team is devoted to achieving beautiful and natural-looking outcomes while providing the best plastic surgery experience possible. "I am very satisfied with my results"
"Dr. Ringler is a top notch plastic surgeon!" "Truly an amazing doctor and person!" "Gracious, professional, informative and above all"
"Wonderful experience with Dr. Ringler and his staff!" "I would highly recommend Dr Ringler!"